There is a big difference between coming up with a successful new product and making the leap to becoming a successful business enterprise. In this webinar, Queen’s University’s Ken Wong identifies five factors to help your product launch succeed and addresses the two key challenges you’re likely to face: the arrival of competition at market maturity and how to find new sources of revenue. 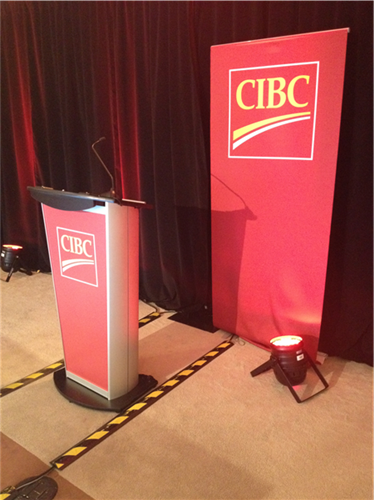 Friendly reminder: If you would like to receive a CIBC Tip Sheet on "Key factors to help your product launch succeed," please complete the form to the right on the webinar. The speaker is in the building and will be taking the podium shortly! Hi everyone, we're ready to get started! Think about questions you want to ask Ken. When you're ready, click make a comment, sign in, add your comment and your question will go into moderation. We will be sharing questions with Ken to answer, and if your question is chosen it will appear in this feed. What is the most effective way of conducting market research? The reality is people don't buy products, they buy solutions to problems. @Sarah: Thank you for your great question! Ken will try and get to it later in his presentation. How much time should I allocate to test a new product in the market? What is the best way to handle an unsuccessful product launch? Is it better to try new marketing techniques or withdraw the product from market? How can I avoid alienating my current customer base while trying to attract new customers? How do you decide on target customer profile?